Reminders have been added. You can set the number of days before events for birthdays, anniversaries and CRM activities. Once set, automatic reminders will pop up for these events. 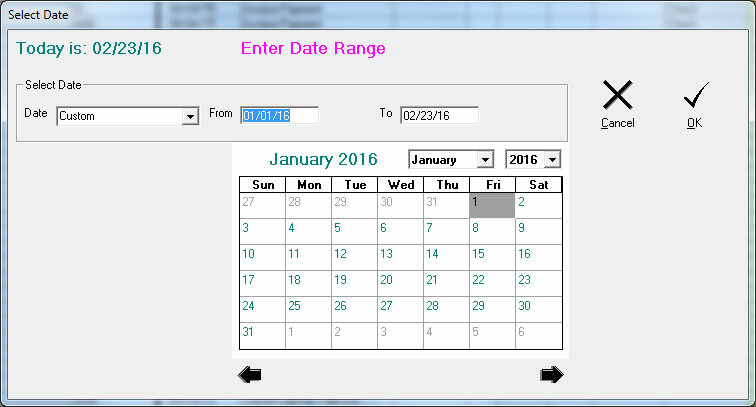 New calendar function has been added for date range selection. You can select from the calendar, enter the date manually or select a preset function from drop down list (Today, this week, this month, this year, etc.). In the SETUP window, under the POS & Memo Options tab, you can select if you like a Salesperson dropdown as opposed to manual entry to be displayed. 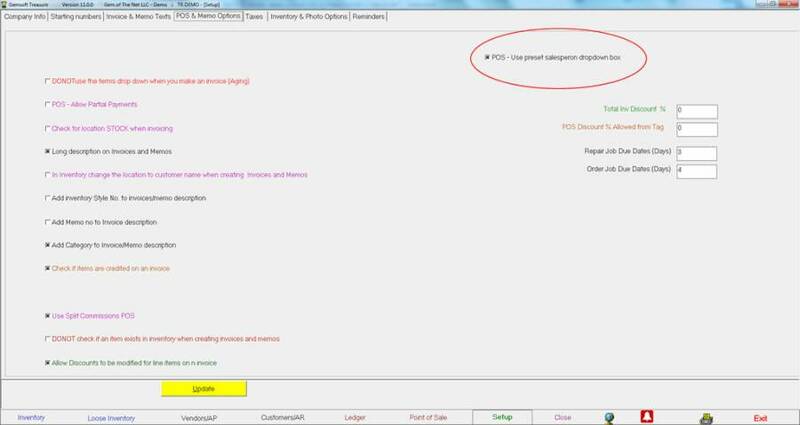 Salespersons can be entered by clicking on Salesperson button under COMPANY INFO tab or in the Ledger screen. Grid columns can be resized. You can also click on the YELLOW square on the upper left corner of the grid to reset the widths to the original size. Window needs to be closed first for the change to take effect. 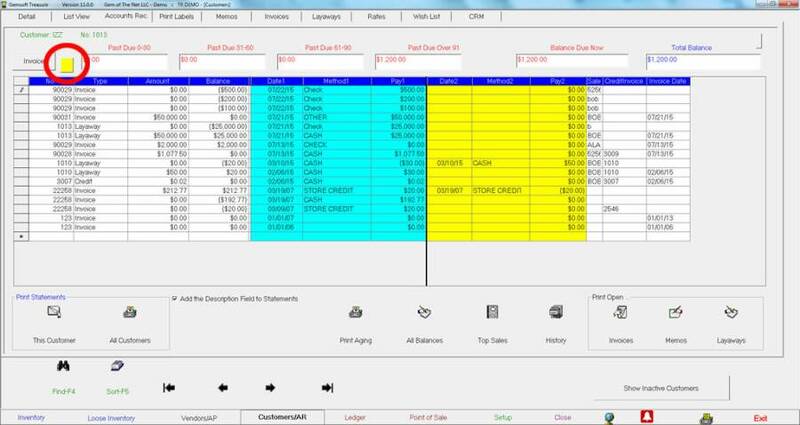 Multiple report layout changes from inventory and ledger and customer statements. Windows, Microsoft, Word and Excel are registered trademarks® of Microsoft Corporation.